Haig Barrett believes in giving back. Which is why we are involved with supporting Open Academy, a 501 (c)3 non-profit providing students K-12 in underserved communities music and arts education. You could say arts and music education holds a special place in Haig’s heart. A little known fact about Haig is that he played French Horn in a youth orchestra. Which is why he was thrilled to join the Board of Directors of Open Academy and serve as the Master of Ceremony for the 2014 Summer and Winter concerts. 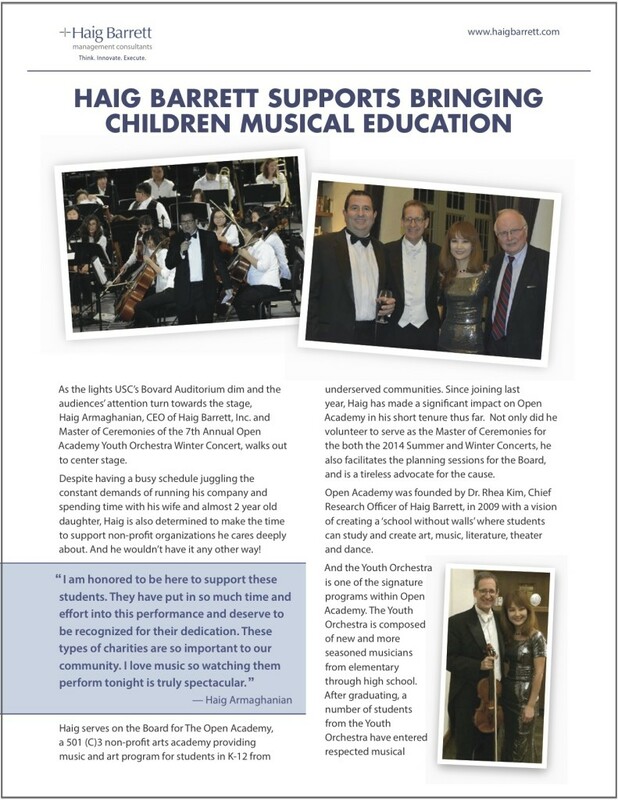 To learn how Haig Barrett supports children’s musical education, download the article.